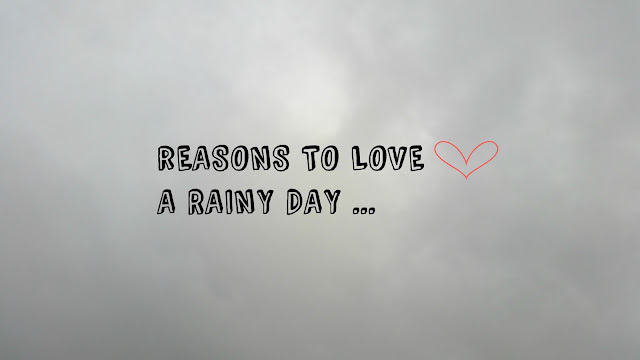 Reasons To LOVE A Rainy Day! So today is my day off and having planned to do something or go somewhere today the weather has got different ideas! It has been raining none stop for two days and sometimes that can make you feel pretty gloomy and miserable, especially now that Christmas is over and everyone is back in routine! Firstly, you don't have to do anything - on your day off you feel you need to get stuff done, make the most of it and jam pack a million things into one day. But when it's raining you might not have the energy or want to even leave the house and that's OK, maybe those clouds are telling you to take a rest. Your saving money - this month has got to be the hardest month when it comes to saving or even having money at all, after all the spending that went on in December! If it was a nice day we would probably get dressed run out and hit those shops for the January sales, spending money we don't have! The rain is telling you to stay indoors, relax and recover after all that hard work on the lead up to Christmas. Do the things you normally don't have time to do! - We all have hobbies or things we enjoy doing, but finding a minute in the day to do them can be difficult. On a rainy day in... catch up on those TV programmes, read, have a pamper, whatever it is that you love! I have even made soup so far today, that's not only something I don't usually do but productive, I now have nice healthy lunches for the week! You don't need to get dressed or wear make-up - Today I went to the gym, showered then into new pyjamas, I would never do that if it was a nice day, you can have the most comfortable day ever, let your skin breathe and not worry for one second what you look like! Thoughts & Hopes For 2016!